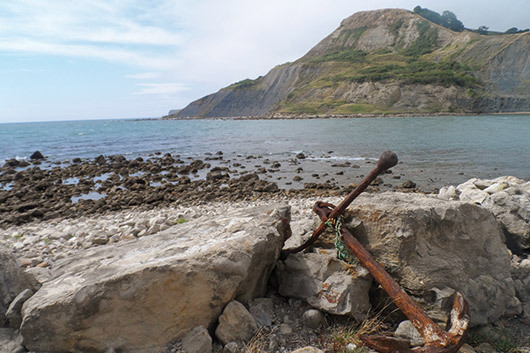 Kirrin Island belongs to George and is the setting for the Five’s first adventure Five on a Treasure Island. The Five return to Kirrin Island in many of their adventures, including Five Run Away Together and Five on Kirrin Island Again. 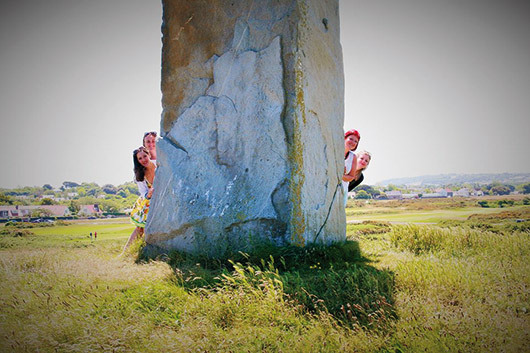 Blyton once wrote that “Kirrin Island was based on an actual village, bay and island – but in the Channel Isles, not England.” With its turquoise waters and golden sands, the island of Guernsey seems to match Blyton’s description of Kirrin Island. 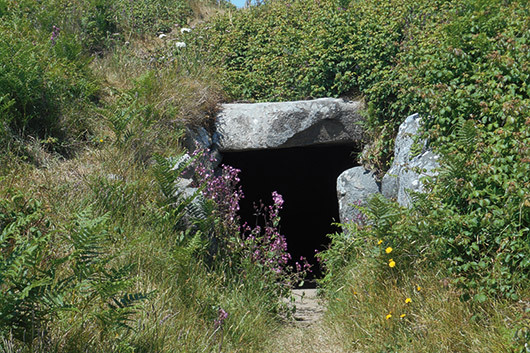 There is also a Neolithic grave on the island, that is entered by a small opening facing the sea, but also has a hole in the roof, overgrown by brambles, that reminded me exactly of the cave in which the Five hid from the Stick family in Five Run Away Together. Kirrin Castle is a ruin situated on Kirrin Island that hides the opening to secret tunnels and dungeons containing hidden treasure. Blyton describes its “broken archways, tumbledown towers, ruined walls – that was all that was left of a once beautiful castle, proud and strong,” Kirrin Castle is most likely based on Corfe Castle in Dorset. 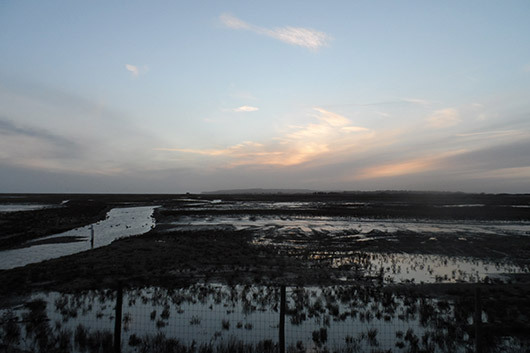 In a letter that Enid wrote about her inspiration for Kirrin Castle she included a photograph of Corfe, which is now a National Trust property and is open to the public most days of the year. 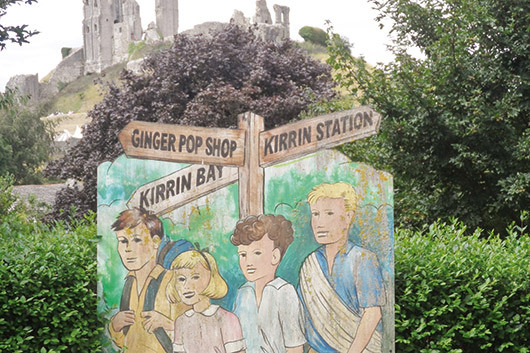 No visit to Corfe Castle would be complete without a visit to the Ginger Pop Shop – THE shop for Enid Blyton related books, gifts, toys and so on. In the eternal sunshine of Blyton-land, one thing that the Famous Five love is a good swim, in Five on a Treasure Island Blyton sends the Five “off to a little cove not far off where they could bathe and paddle to their hearts’ content.” Lulworth Cove in Dorset in Blyton’s beloved Isle of Purbeck has a shingle beach, clear blue waters and the famous rock arch of Durdle Door, and seems to be a good match for the idyllic Kirrin Bay. The following cave had no colour, but was of a dazzling white, walls, roof, floor and pillars. So many stalactites and stalagmites had joined that they almost formed a snow-white screen. The caves at Cheddar Gorge are open to the public all year round. In Five Go to Smuggler’s Top, the Five go the town of Castaway. 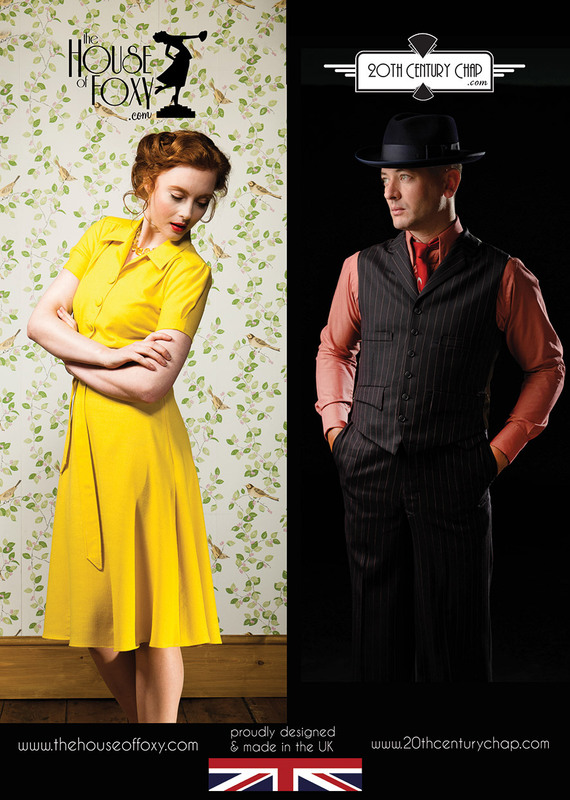 Built on a hill and surrounded by an ancient stone wall, with cobbled streets, diamond-paned windows and a history of smuggling and mystery, Castaway is a dead ringer for the East Sussex Town of Rye. Visit the Mermaid Inn, which was used as a base by the notorious Hawkhurst Gang of smugglers in the eighteenth century. The Famous Five have two caravanning holidays. In Five Go Off in a Caravan they have “modern, stream-lined” caravans, but in Five Have a Wonderful Time they have “old, gypsy caravans”. The caravan used in the television series of The Famous Five is now in a cider orchard in Somerset and is currently a holiday home for rent (www.gypsycaravanbreaks.co.uk). 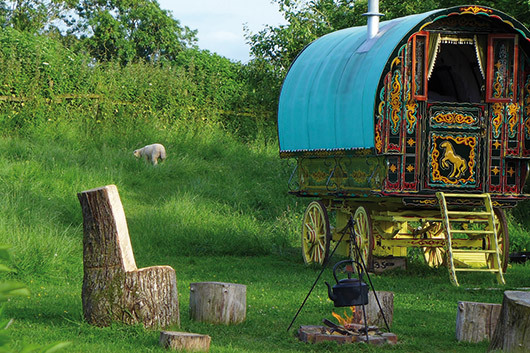 Similar gypsy caravan holiday accommodation can be found in Suffolk (www.orchardcampsite.co.uk), Wales (www.cottage-holiday-wales.co.uk/romany-caravan-wales) and Sussex (www.blackberrywood.com). In Five go to Demon’s Rocks the Five spend Easter in a lighthouse with their friend Tinker. 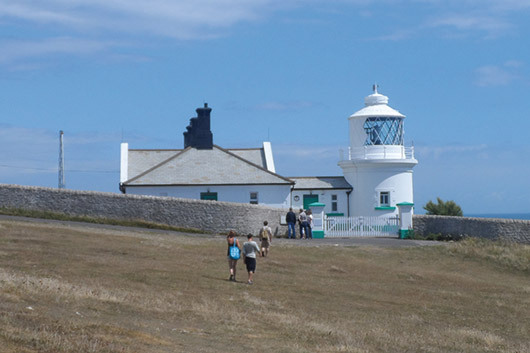 There are a number of lighthouses around the UK which offer overnight accommodation, including Belle Tout in East Sussex, North Foreland Lighthouse in Kent, St Catherine’s on the Isle of Wight and Anvil Point in Dorset. 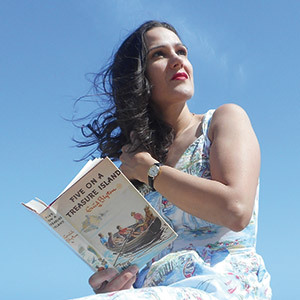 Blyton’s daughter, Gillian recalled visiting Anvil Point Lighthouse with her mother and it has been suggested that it was this lighthouse that Blyton may have had in mind when writing her Famous Five adventures. Unwinding in a cosy lighthouse is surely the perfect end to a day of adventuring.